Pubblicato il 12 ottobre 2017, in Letteratura, Literature, TV con tag Algernon Blackwood, Andrea Atzori, Anthony M. Rud, Arthur Machen, C.H.B. 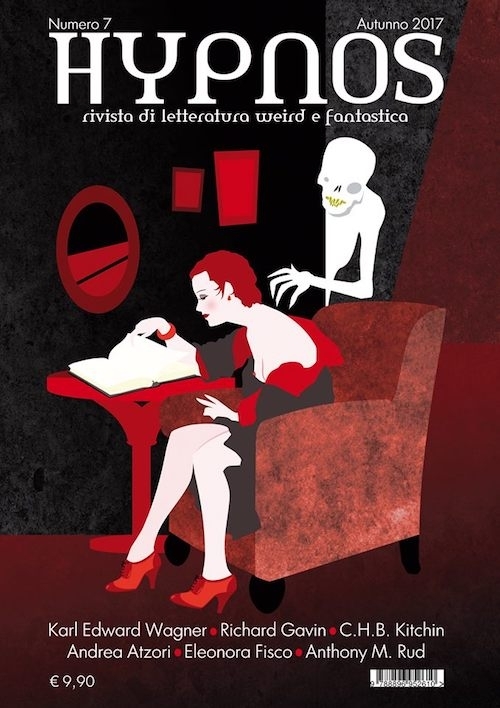 Kitchin, classic weird, Edizioni Hypnos, fantastico, fantasy, horror, Hypnos Magazine, Ivo Torello, Karl Edward Wagner, magazine, modern weird, Premio Hypnos, Richard Gavin, rivista, weird, Weird Tales. Aggiungi il permalink ai segnalibri. Lascia un commento.